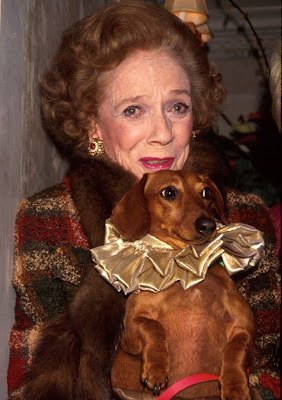 The latest incarnation of what appears to be a Back of the Cereal Box trend, at least based on this post and this post: crazy women and their animals. 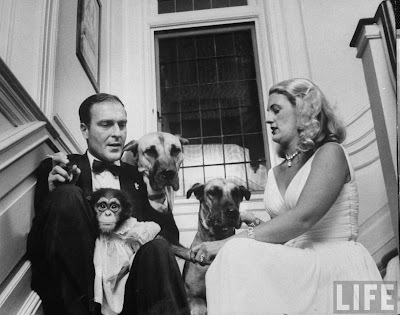 Today, I offer a wealthy woman, name lost in the sands of time, and her retinue, which includes one human man, two jowly dogs, and a monkey dressed in a nightgown who happens to be the only one of the five with the sense to look at the camera. 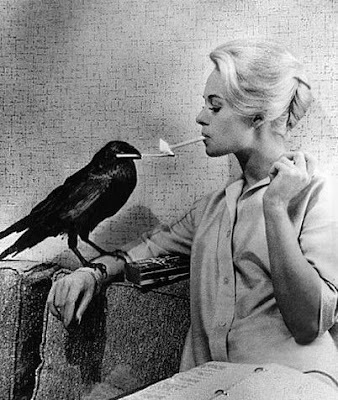 And also also: Birds star Tippi Hedren posing in a pose that I can only hope was re-created years later with Linda Hamilton and a humanoid, cigarette-lighting robot. A special thanks goes out to Agent Prance Closer.